Warranty: Lamy guarantees that our products will be repaired at no charge in case of possible flaws in material or workmanship during a period of 2 years from the date of purchase  except for damage from improper use or normal wear. 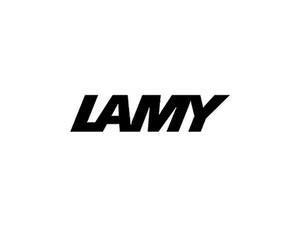 The LAMY brand stands for high-quality designer writing instruments defined by their timeless modern aesthetics and perfect functionality. Its success story began over 50 years ago with the LAMY 2000: in 1966, the model established the clear and unmistakeable design which still defines the style of all the brands products today  the Lamy design. As an independent family business, Lamy has been associated with Heidelberg since it was first founded in 1930 and therefore guarantees consistent high quality, Made in Germany. With an annual production of over 8 million writing instruments and turnover of more than 110 million euros in 2016, Lamy today is not only the market leader in Germany but has developed to become an internationally soughtafter brand. The company continues to set trends, not just through its annual special editions and has inspired writing enthusiasts around the world with its innovative colours and surface finishes.